Reason: Zelda keeps trying to trash it, and it's making an awful mess. In fairly good condition. Reason: Just cut mine back - they are really healthy top sprigs, about 4-5inches long. Very nice rich green, guaranteed fast grower. Reason: Can't grow it in my tank - Zelda and Rex like to eat it. 1st come first serve basis (PM Me!) - a few of the Elodea sprigs to give away - will probably be doing some more every month. will sf mollies eat java moss, Ive got 4 big ones that like to eat plants and the platies will eat the plants as well, but Ive wanted some for ages and you cant get it round here, btw the platies and the mollies eat my elodea all the time. Lol! The Elodea is supposed to be munched - That's why I have it in my tank - it grows faster than even my Koi can destroy it. Mollies eat moss - possibly. However, it is mildy toxic. Not harmful - just not tasty. I now have two orders for Moss - possibly enough for one more order. Lots of Elodea and a red fluffy thing left. After an overwhelming amount of orders I'm sad to say I've run out of Java Moss - however will find out when can get some next! The rest of the stuff is still available - who wants the red fluffy thing??? Haha! I'll send what I can find. Do us that order list for stones as well... I'll post it together. Lol - anything you like. Red fluffy thing has found a home, as has the last of the Java Moss. If anyone wants Elodea, let me know. How long is it going to be on offer for? I don't know if I need any yet or not. I'm cutting it back every fortnight, if not every week. Lol - I have HEAPLOADS! I'll see if I can find a pic, or work out how to use the new cam's software. I think I have a nice photo on my home PC. Feel free to ask Kev about the quality, and Kat - they've both got some. I may warn you to rinse it well if it's from the work tank - we've got quite a lot of Physa snails in there - they won't damage your plants (they only eat algae and maybe soggy cucumber) but they do breed fast. 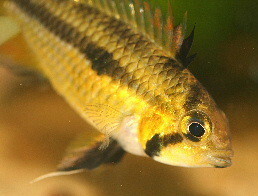 They only reach 1cm ish though, and are easy to squish if you like your fish to eat them.